Alzheimer's and other debilitating mental conditions can rob a person of his ability to make medical decisions for himself, take care of his finances or live on his own. Generally, someone else must take care of these responsibilities for the disabled person. If the patient signed a durable power of attorney before his Alzheimer's got too bad, his loved ones can operate under that authority. However, if he doesn't have a power of attorney, a court may have to appoint someone to care for him. Adults must have a certain level of mental capacity before they can legally sign a power of attorney. Generally, the person signing the power of attorney must understand the terms of the document, as well as its importance, and be able to communicate that he wishes to sign the document. If he is physically disabled but otherwise competent, someone else can sign the power of attorney at his direction. Persons with Alzheimer's may have periods of clear thought during which they are capable of properly signing a power of attorney. The family members who may later use that document, however, may benefit from having a doctor examine the patient to note his competence before the document is signed. This can avoid challenges and confusion later. When a patient no longer has periods of competence, he cannot sign his own power of attorney, and documents he does sign while incompetent are not legally effective. Thus, the patient's loved ones may have to ask a court to appoint someone to manage the patient's care and financial affairs. Before a court can appoint such a representative, it must determine the patient is mentally incapacitated or incompetent. The procedure and standards for such a determination vary by state, but courts generally require that someone file a petition to initiate the case and doctors issue a medical opinion that the patient is incapacitated. Once a person is declared legally incompetent or incapacitated, the court can appoint a guardian to manage personal affairs for the patient, now called a ward or protected person. 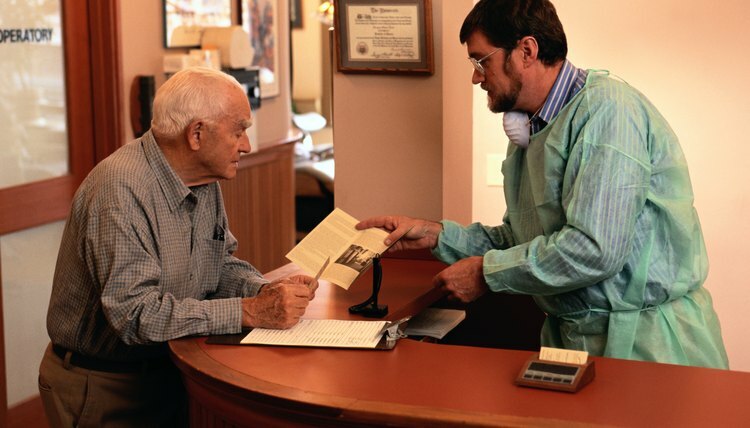 Generally, guardians can be any adult capable of acting on behalf of the ward except those excluded by the laws of the ward's state, such as unrelated nursing home managers or the ward's primary care doctor. The guardian's powers will be determined by the court but may include personal decisions like what types of medical care the ward receives and where he lives. Guardianship may have different names depending on the state where the patient lives. When the ward needs someone to manage his financial or business affairs because of his incapacitation, the court can appoint a conservator, sometimes called a guardian of the estate or other similar term. This arrangement generally gives the conservator control of the ward's finances and property. For example, a conservator could sell the ward's home to pay the ward's medical bills or expenses from an assisted living facility. Courts can, however, place restrictions on the conservator's authority, such as appointing another conservator to serve jointly or limiting the authority to only one area.